On average, I get at least one comment or email per week asking the same question: What camera do you use when you travel? I've answered this question on my FAQ page, but decided that today I would take my answer one step further and give you a peek into everything that's currently in my camera bag. 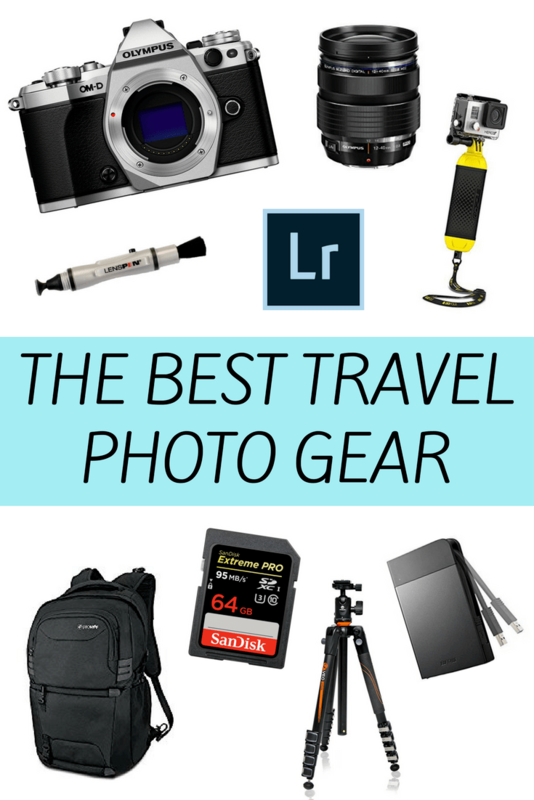 So here we go with my favorite travel photography gear! It takes amazing photos! All the images you've complemented me on in the past 1.5 years have been taken with this camera. It's small(ish). This OM-D model is not as tiny as my previous Olympus PEN cameras, but it's still a heck of a lot smaller than your average DSLR. It easily fits into the handbag I usually take with me when traveling. I can go full manual, or use pre-set settings. This camera gives you all the control you need, but also can help you out when you're not sure exactly which settings to use. It has a flip-out back LCD screen. This is super handy for video, low-angle photos, and even selfies since I can swivel it around a full 180-degrees. It has built-in wi-fi, which makes transferring photos from my camera to my phone (hello Instagram) a breeze. It's “weatherproofed,” meaning I don't worry as much about a few rain drops or a blast of sand as I used to. Might I eventually upgrade to an even higher-end Olympus model (or maybe the Sony a7RII if I can ever justify the cost)? Yeah, maybe! I don't think I'll ever go full-sized DSLR, though, because I love the size and weight of mirrorless cameras. For now, I'm super happy with my camera. – This is my go-to lens, and is the lens that lives on my camera most of the time. It's super fast and takes really great photos. – I bought this zoom lens for my trip to Africa (wildlife photos, yo! ), and definitely think it was a good investment. I could have spent a LOT more on an even nicer lens, but since I will probably only use this a couple times per year, this one will do just fine. My next lens purchase *might* be a . But we'll see. SD cards – Most of my current SD cards are cards. Filters – I use UV filters to protect all my lenses, and also have a polarizing filter and ND filter, though I admit that I don't use them much! Camera strap – I have a cute camera strip with elephants that I got from . – Important for long exposures so I don't blur the photo by touching the shutter button. – This marker-sized item is a must-have for anyone with a camera. One end has a brush to remove dirt, dust, and sand, and the other will safely clean your camera’s lens to get rid of smudges and fingerprints. My main tripod is the . Vanguard makes a line of travel-friendly tripods (the VEO line), which means they're fairly compact and not *too* heavy. My VEO tripod has helped me photograph waterfalls in Iceland and the Northern Lights in Norway, among other things. I also have a , a short little tripod with bendy legs that you can wrap around things. This is sometimes more appropriate to carry around since it's lighter and can be used more easily on-the-fly. It's tough to get waterfall shots like this without a tripod! I don't do a ton of video work or vlogging, but I do have fun putting together short videos for Facebook and YouTube every now and then. My go-to for video is currently the . I like this model because it has a video display on the back (so you don't *have* to use your smartphone and the app to see what you're filming), and still takes great video. – This was the first “selfie stick” I bought for my GoPro, and it's handy for a variety of situations. – This see-through, extendable pole is perfect for water activities since it extends to 2 feet AND floats on its own. – This grip is my newest purchase. The Bobber floats just like the EVO, but isn't extendable at all. However, it takes up very little extra room in my bag, making it perfect to pack for those “just in case” moments. I've also got the , a , a head mount (which only Elliot gets to use because my head is too small! ), and a suction cup that I've used a couple times to mount my GoPro to a car. With a growing amount of camera gear to carry around with me, I decided to invest in a good camera bag. I went with the , which is an anti-theft camera backpack that comes in two sizes. The can hold 25 liters and easily fits all my gear (and then some), while the holds 17 liters and is better suited to trips where I'm either not taking an extra lens or not taking GoPro gear. I actually have BOTH of these backpacks because I couldn't decide which size I would use more often! It turns out that I tend to use the smaller one on shorter trips, and the bigger one on longer trips (like my overland trip in Africa). Pacsafe makes some incredible bags that are both durable AND functional, and I love having the peace of mind of the anti-theft features like slash-proof material and zipper hooks to make it really tough for anyone to get at my gear. Another Pacsafe camera bag worth checking out is the . This one would be ideal for hiking since it's small and slings across your back – meaning it would be mostly out of the way for short hikes. I don't do a ton of post-processing, but I do edit nearly all my photos. Sometimes it's as simple as straightening a horizon (I can NOT seem to take a straight photo to save my life) or making a quick crop, and other times I boost the saturation or bring up shadows a bit in order to make my photos match what I saw with my eyes. My go-to for photo editing is . It gives you all the tools you need to touch up just about any image, and also helps you organize your image library. You can purchase Lightroom on its own as a one-time download for about $150, or you can purchase a subscription to Adobe's , which gives you access to both Lightroom and Photoshop for $9.99 per month, all the updates and new features. When I'm on the road, I travel with a portable hard drive in order to back up all my photos. I have a “rugged” hard drive called the , which is supposed to be able to survive the wear and tear most travel tech faces (i.e. bumps, drops, and general bouncing around). I've had mine for a few years and love how it's performed and held up so far. Once I get home, I back my photos up online. I used to exclusively use Flickr, but I recently started creating albums on SmugMug in order to better display my photography (you can buy prints from , too!). My most-purchased photo to date! Lastly, I'm a big believer in learning all the things I don't know – and there are definitely plenty of things I don't know about photography! My friend Laurence has taught me a lot about taking better photos over the years (starbursts, FTW! ), and now he's compiled all his best tips into a . The course covers everything from camera settings to image composition to night photography to photo editing, and is great for beginners who want to take their photo game to the next level. And there you have it! Everything that helps me take all the photos you see on this site. If you have any other questions about my gear or photos, leave them in the comments below! Thanks for the opportunity to win the GoPro Hero. We are going on a Disney cruise soon and I would love to use this when we go snorkeling! I’ve been thinking about making the change from DSLR to mirrorless for soooo long now! My DSLR is just too big and heavy (in its case with my 18-135mm lens it takes up half the space in my carry-on bag, so if I’m only travelling with carry-on, it’s a bit of a problem!) and I’ve heard such good things about mirrorless cameras from you and other bloggers whose photography I admire. They’re so expensive though, it’s a huge commitment! Changing the subject, I’d love to win this GoPro because my boyfriend and I bought a Hero3+ for our trip to South America but he’s kind of commandeered it so I now need my own! Switching over a camera system is usually a bit of an investment, but upgrading to my current setup in 2015 was one of the best investments I’ve made lately! I LOVE my Olympus! And that’s perfectly fine! I’m not sure if I would have gotten into photography this much if not for this blog. But I love it now. What a fantastic giveaway. I’m actually going on year long trip around the world so the go pro hero would be super useful. And this super small one is very friendly space-wise, too! I’d love to use it when we raft down the Current River, in Missouri. I’d also love to use it to make time-lapse road trip videos. I’ve been wanting to get a GoPro for a while. It would be useful for both those things! A GoPro would be a great addition to my travels! Currently using a Sony and a drone, so the GoPro would be great. I am obsessed with my Pacsafe bags!! I have a month long trip planned for this summer and I usually just take photos & video with my iphone, but I’m starting to think I should look into learning how to use an actual camera. And I just posted my first video attempt on my blog and it was so much fun I think I want to get into video too! And the iphone isn’t great for storing a lot of video storage… This article is really helpful! Thanks! Hopefully it gave you a few ideas, Elizabeth! Recently, I’ve noticed that my life is passing by without nearly enough photographs or videos to capture it. Not to say that I want to spend life behind a camera screen, but it is sad to think about looking back on my 20’s in the future and not having any photos or videos to document that time. A GoPro would be a great way to do that! I totally get it, especially in this day and age of social sharing. I never used to get very many photos of myself on my travels, and I really regret that now! Its. A good list. I’ve been struggling to decide on one camera bag. After reading this the answer is I should just get 2 bags. Lol. Simple. I love my Pacsafe hobo bag didn’t even think to look for a camera bag with them. Hahaha yup, why not just get two? I got the bigger one specifically for big trips (with Africa last year in mind), but then realized it was a little bigger than I needed for shorter trips. They are both really great bags, though – you can’t go wrong with either one! 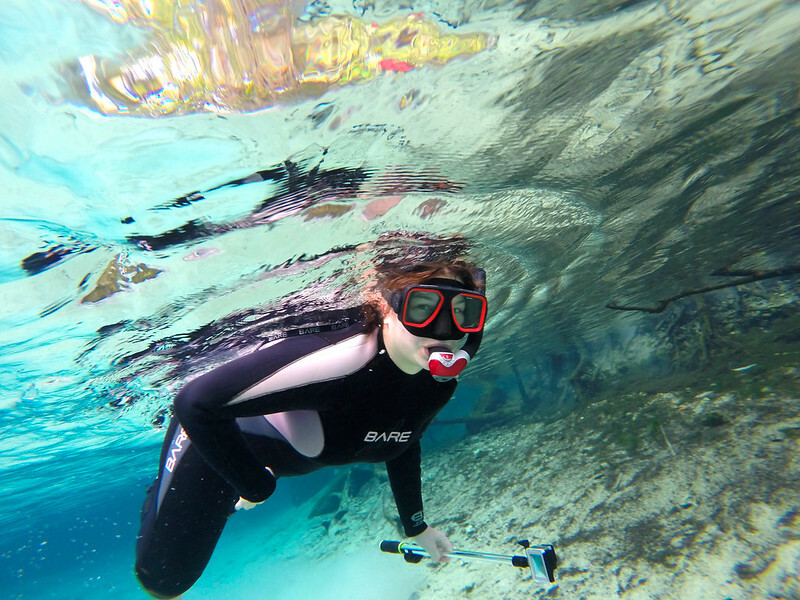 I would love to use the GoPro Hero snorkeling (my favorite activity) or on boat tours where it might get splashed! Would love to use it somewhere like Mexico or Australia! It’s great for those sorts of activities! I’ve used mine for snorkeling many times! I have an ancient GoPro that I love to take snorkeling and diving. This would be a fantastic upgrade! Nice! These new Sessions are great because they’re so small, too. I only recently started solo traveling and discovered a love of photography (first trip was to Iceland – I ended up taking an obscene amount of photos!). I make photo books when I get back and they serve as my trip mementos – I don’t really do souvenirs and these are perfect… and making the books also extend the trip in a way. : ) I thought about getting a GoPro but wasn’t sure what I would do with it – but how fun would that be as another cool thing to add to the arsenal! I was thinking of going to Scotland next (and then, of course, you started doing all these posts about it which kind of solidified it for me! ), but before that, my niece and nephew will be visiting me… having a GoPro while going on some hiking adventures with them would be pretty amazing, I think! Iceland will turn anyone into a photographer, I think! (And Scotland, too – it’s amazing!) And yes, a GoPro is a fun extra to have, especially when you’re outdoors being active. Oooh fun giveaway and awesome tips! 🙂 I’ve always loved your photos, I’m constantly working on improving my photography skills. I’d definitely use a GoPro for snorkelling and doing some more travel videos as I don’t have anything that takes fantastic videos. GoPros definitely take some great video! I’m always jealous of your awesome adventures. It’s nice to see what kind of cameras and accessories you use. I’m hoping to go on some adventures this year while in Europe for work. I’m sure my pictures won’t compare to yours, but I’m still fairy proud of the pictures I take. Europe is filled with lots of cool cities and adventures! Quick question, which plan do you use one SmugMug? Thanks! I use their Portfolio plan since I try to sell photos through the site. Fun to see what gear you use. I’ve never used a GoPro but would love to play around with one, especially under water. They’re great little cameras for underwater adventures! I’m going on a Carribean vacation this spring and a GoPro would be perfect to capture snorkeling and parasailing. Both excellent activities for a GoPro! I love these kinds of posts! I find it so interesting to see what other bloggers are using. Definitely need to get a Pacsafe bag in the future, I’ve heard so much about it! I love reading other peoples’ gear posts, too! And yes, Pacsafe makes really great bags – well worth the price tag! They’re a lot of fun if you want to take video, or some super-wide-angle photos! I’ve been looking to upgrade my camera this year and the Olympus ones sound pretty awesome! And I’ve debated on a GoPro for probably, three years now, I feel like I need to finally commit! This Olympus one IS awesome! I couldn’t be happier with my decision to buy it. I’d capture underwater images while snorkeling. Really enjoyed this post. I’m always interested in seeing what others have in their camera bag. If I had a GoPro I would use it for capturing video in the pool and river. You could make some really fun poolside videos with this GoPro! I would take it to the beach with us! YES the LensPen is so practical, so affordable, and I’m not sure how I ever traveled without one! Akatuki, thanks for another great post! I have been so interested in upgrading to a real camera, but I didn’t want to invest in something I wouldn’t use, or yet another hobby that goes by the wayside —except this one would be really expensive. I like be riding my bike and we were just paddle boarding today. A GoPro would have been perfect. I’m going to go back through this post and take notes. ??? I’m not sure I would have spent so much money on a camera if it weren’t for this blog – but I don’t regret it! I love my Olympus a lot. Haha yes! Any small movement of the camera can blur the shot when you have the shutter open for that long! I love taking pictures, too, even when I’m not traveling! I am going to invest in a new lens this summer and not sure what one to go with. I have a panasonic lumix mirrorless camera… good to know the specs of yours though so I know what to look for! Great source of information Akatuki. I am actually using GoPro (Hero 4 Silver ) and I enjoyed reading your post. Keep sharing. Love my GoPro Hero 4 Silver! It’s been on a lot of trips with me! Would love to win a GoPro – I’ve been debating whether or not I should take the plunge and buy one. Thank you for sharing this helpful post. I’m not really into photography but I’d actually love to be. I do own a DSLR but hardly ever use the manual mode. Shame on me. Anyway, I still love the pictures it takes. I’m planning on going to Middle/South America after finishing my studies in summer. Hopefully, there will be loads of water activities included so the GoPro would be perfect for me. Thank you for showing us what equipment you use! I was wondering for quite some time what you take such great pictures with! I have only a Canon mirror camera, that I love. But I would love to have an additional camera to take better videos, like the GoPro, which I would love to use in my upcoming trip to Morocco and Sahara! Oooo Morocco and the Sahara! That sounds awesome! You’ll be happy to know that I went ahead and got the 12-40 lens! Looking forward to trying it out in New Zealand next week!! I’ve always been interested in photography but have always been scared of trying things out and stepping into the world of “manual mode” but I hope that will change soon! What do you make of the wrist mount for the GoPro? I’ve got one but haven’t actually used it yet! Awesome!! I don’t think you’ll regret that purchase. 🙂 And as for the GoPro wrist mount, I’ve used it for stuff like ziplining and a couple other times where I didn’t have use of my hands to hold anything. It works okay, though it’s not my favorite GoPro accessory! Thanks for the chance to win a GoPro! I’d love to use it in the Wadis here in Oman. That sounds cool! I would love to visit Oman. I always think your photos look awesome and it’s nice to know you don’t use a DSLR. I’ve been debating for awhile to get a GoPro. I’d love to be able to take some cools shots when I go snorkeling or surfing or ziplining. But I’m always curious how well the mounts work. Like for ziplining…which would you use? And are you confident that it still wouldn’t fall off? That would be the worst – to have it drop in the jungle halfway across a zipline. There are soooo many GoPro mounts that you could use for zip lining! A helmet or head mount would probably be best, but you could also try a chest or wrist mount. OR, if it’s the kind of zip line where your hands are free most of the time, you could get something like the Bobber and just clip it to your clothes or harness with a good carabiner clip. It would be great to take the GoPro with me on my trip to South Korea in March. Thanks for the post and the opportunity! I would LOVE to take a GoPro to Norway later this year — I think it would capture the fjords amazingly! Norway is such a photogenic place! “Expansive array” – haha, yup, that pretty much sums it up! I travel with a Sony s7 mirror less with zoom lens and gorilla tripod…but everyone constantly tells me to invest in a go-pro…why do I not? I’m considering upgrading my Olympus EM-1 eventually to the Mark II. I’ve only heard great things. I was just thinking that I’d love to have a go-pro for any tropical or travel adventure. I want to starting planning my travel for this year soon. I use my GoPro all the time in wet and humid places, and it gives me great piece of mind knowing that I don’t have to worry about it dying due to moisture! I know it can definitely be overwhelming! As boring as it sounds, though, I would read the instructions for your camera so you can start to learn what all the buttons and knobs can do. And taking a basic photography course never hurts, either! Thanks for your tips. I definitely need to get myself another tripod. Years ago my parents gave me their Canon camera that they bought sometime in the 70’s. It did well for me, but eventually I went digital and have used a number of cameras over the years. A little over a year ago I bought a Canon Rebel t6s. When I held it, it felt like I’d come home. I couldn’t figure out how to get the camera strap attached, so I dug out my old Canon with a purple Mickey Mouse camera strap that I’d bought at Disneyland, clipped it on, and it was like magic. Everything fell into place. I finally found the right digital camera for me. I considered buying a cable shutter release, but I downloaded the Canon app and I can use that as my shutter release. So far I’ve only used it for selfies. Saves setting the timer and running! Awesome that you were able to get it back! But yes, the Bobber is great and definitely worth investing in! I’m planning a big skydiving adventure (eek!) next year with a group of friends to celebrate our birthdays. Also, swimming with whale sharks is pretty high on my bucket list…love your site! I really enjoy your pictures and posts. Very fun watching your travels. I tried to do the same thing with Flickr, but it does not support RAW files. 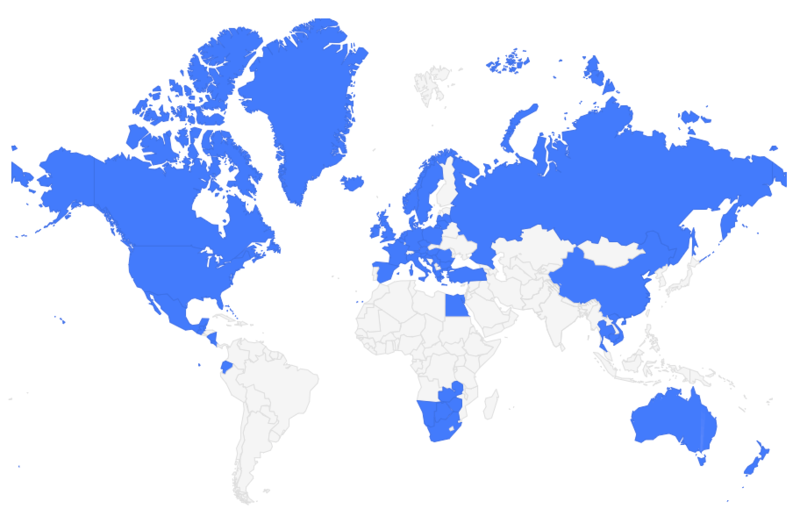 Google offers 1TB of free Google Drive storage for reviewing places on Google Maps. Its really easy to get enough points if you are traveling! I would use the Hero Session to Scuba Dive the Great Barrier reef while I still can!!! That’s a good tip about Google Drive! I only upload edited photos online, so I don’t have the RAW file issue. The gorillapod is also really great for vlogging, or as a (less ridiculous looking) selfie stick. I use a a SeaLife with a strobe and a video light when I’m scuba diving, and it takes wonderful pictures. But sometimes I just want something a little (or a lot) smaller. A GoPro would be fantastic for my underwater adventures! I have an older OMD EM5 and I really do love it. But if I was to upgrade I would probably waver between staying with my Olympus and getting a Sony. Glad to hear you’ve been satisfied with your Olympus though! I couldn’t justify the price of the Sony I really wanted to get, but who knows – maybe I’ll be able to afford it in the future! We’re going on a cruise to Bermuda in July so I would use this for scuba diving and jet skiing. It would especially be great for jet skiing! Always happy to give people a peek into what I pack! Love your blog! As a fellow Ohio girl, I enjoy reading about your adventures and dream about having my own one day!! I am excited that you are doing this giveaway. I want to take the leap and start my own travel blog but I do not know the proper equipment that I would need in order to start. I like the Go Pro Hero and I think that I will be a great piece of equipment to start with. However, even if I do not win the giveaway, thank you so much for making this blog and I hope that one day we will have a chance to meet. Many bloggers just take photos with their smartphones, so don’t feel like you need to have any sort of fancy gear in order to get started! A curiosity about the world and a passion for traveling and writing about it are all you really need to start a travel blog! I’m planning a trip to Atlanta and Savannah this spring and would love to take some photos there using the GoPro! Nice! Savannah is one of my favorite cities! I would use the go pro for my travel vlogs! My next trip is to Costa Rica this April and it would be awesome to have it for the trip! Costa Rica is awesome for adventure! Hi I am new to your site and I love it! You have gone on so many amazing adventures. As for me, I’m about to go on my first by moving out of my family home to live in Colorado even though I have never even been there. Its the first but most definitely not my last. Thanks for the chance to win! I just recently started traveling and found your blog when looking for info on Iceland. 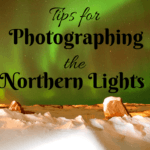 Your camera tips are so helpful and I will definitely put them to use in Iceland! 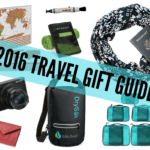 The go pro would be amazing for some snorkeling in Iceland or maybe a video of glacier hiking! A GoPro is a must for snorkeling Silfra for sure! Thank you for this post. Great pictures make a good story come alive. I currently use a DSLR but will soon make the switch to a much smaller camera. I would love to win this GoPro and would use it for my upcoming solo trip to Jordan. I know a lot of (travel) photographers moving from DSLRs to smaller cameras – there are so many great options out there now! Thanks for sharing! I use a Nikon DSLR and while I love it, sometimes I wish I had something more compact. Schlepping it on the Tongariro circuit wasn’t fun but I’m thrilled I have photos to document the adventure! Mirrorless and mirco four-thirds cameras have come a long way in the last couple of years – they certainly give traditional DSLRs a run for their money. Maybe it’s time to consider a switch? What an extensive collection of gear … I need to add to mine to improve my shots, so thanks for revealing your go-to options! I just got back from Belize and would have loved to have a GoPro for snorkeling! Loved your pic! They’re great for the beach and snorkeling! My family would love to take this on a skiing adventure! The gopro isn’t for me but for my Mtn biking sons. I want to see what they see when they are on the trails and what they see when they are racing. Thank you for the chance. That’s so nice of you – and also a great idea! Thanks for stopping by to read! And good luck! I’ve debated the mirrorless vs DSLR too. I’m the opposite! I started out with my DSLR since I take photos for a living, and can’t justify the cost of a mirrorless that doesn’t “do everything” like my canon. even for the less weight! haha. Photos look great though! I totally get that! And if photography was my living, I would likely invest in much better gear. But I rarely sell photos, so for me the size and weight are really selling points! I love your blog posts, they give me ideas for planning my next travels! I’d love to use a GoPro on our next trip to hike the Amalfi Coast! This post was so useful Akatuki! You (with the help of your blog) have been a huge inspiration and influence for me to follow my own dream of solo traveling and exploring the world. Well hey, the “saving stage” is an important one! Good luck! Great tips! I hadn’t thought about the doorstop with an alarm, that’s pretty nifty. If I were to win the GoPro, I would use it for my upcoming adventures in El Salvador, Nicaragua, the Philippines, Bolivia, and Mauritius! Wow, sounds like you’ve got some great trips coming up! Really handy advice there Akatuki – I really need to sort out my camera gear for my next trip & I’m gonna try to take your advice to heart this time! Thanks for sharing & keep up the good work! Thanks, Matt! Hopefully I’ve given you a few ideas to look into! I can’t even begin to tell you how many times I forget something small like batteries or SD Cards. It’s enough to drive you up a wall. I always hide back-ups in all my camera bags/backpacks – I’ve forgotten them, too! Impressive gear for photography. After reading your article i think i will take some photography classes 🙂 because it’s on my mind for some time now. Thank you for the article. I knew exactly where your coo with a view photo was taken. That used to be my local beach as i lived on the Isle of Harris for 3 years. Now I’m in Asia and have the EM5 II as my main camera. I chose it over EM1 II, XT2 and many others due to cost size and bang for buck. And good choice of camera. I love mine!